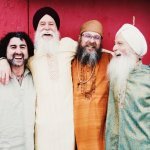 Editor’s Note: This is the second of a two-part interview with GuruGanesha Band. You can also read Part 1, where they share their inspiration for People of Love, to uplift and heal the world one song at a time! Are there any special contributors to this album? If so, tell us about them. 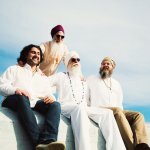 GuruGanesha: First and foremost, our super talented bandmate, Gurusangat Singh, did an extraordinary job producing, engineering, and mixing the album. Gurusangat: Richard Davis plays organ on two tracks and was also instrumental in helping me get the tracks to their final state. Ram Dass Khalsa was also an essential team member. He has great ears, lots of production experience in our genre, and an aesthetic sense that jibes with mine. I relied heavily on both of these guys for their opinions on mix revisions and on the masters. I can’t thank them enough. Can you tell us a little bit about who you are and what your passions are? 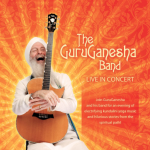 GuruGanesha: My passions are my wife, two children, and four magnificent grandchildren; sacred music; playing the guitar; chanting; Kundalini Yoga; helping others succeed in life via my consultative integrity based sales training programs; and sports, particularly NBA basketball! Sat Kartar: I love traveling with family and friends. I love hosting people in my home. I’m passionate about good food and love to eat. Gurusangat: It turns out I’m passionate about playing the Bass. 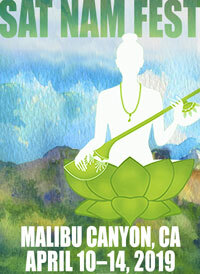 When I first met Guruganesha, I was a guitar player that sometimes played bass, but somehow I’ve become a bass player. I love the massive strings and the power to transform a song with a note or the absence of one. I love doing things that involve intense focus, physicality, and creativity. Yoga and playing music are two sides of the same coin for me. Movement is musical, rhythmic. Breath is musical, rhythmic. The mind and body seem to vibrate. I love arranging music. I’m passionate about the moment that I hear the unmanifested potential of some piece of music or a sketch. I can’t live without yoga, jazz, or espresso. What are three things you hope to accomplish in your lifetime? GuruGanesha: 1. To touch and uplift as many of my fellow human beings as possible! ; 2. To help as many of my fellow human beings succeed in life! ; 3. To create as many opportunities for people to come together and celebrate our collective Divinity! Sat Kartar: At 62, I have accomplished much. I would like to continue to serve by creating music, teaching, and traveling. Gurusangat: I just want to keep doing what I am doing, and keep figuring out how to do it better. Can you give us a sneak peak into your creative process? GuruGanesha Singh: Absolutely! Here is a video that gives you an amazing visceral experience of the creative process in just seven minutes. Sat Kartar: I am grateful that my practice produces such dependable results. It keeps me young, vibrant and centered. I love it! Gurusangat: I love what it has taught me about the power of breath. I love how it has taught me to use sound and mantra. I studied other traditions first, but Kundalini Yoga has truly helped me to develop a certain level of real understanding of my core practices. What do you hope your listeners experience or learn as they listen to your album? GuruGanesha: I hope listeners experience that regular joy-filled experiences are a vital part of walking the spiritual path. Sat Kartar: The songs were created to uplift and bring joy. My hope is people will experience that when they listen. Gurusangat: Whenever I chant Kundalini mantra, or mantra from the Sikh tradition, I get a certain kind of feeling. I sense that it may be contagious. I hope I’m right! There’s also a feeling of joy that I get from playing music with my friends. I hope that’s contagious too. How did you come to start practicing Kundalini Yoga? GuruGanesha: In 1971, I realized I needed to find a better way to get high or I was going to die. After a friend saved me from my final LSD trip, I learned about yoga through browsing his bookshelves and began to practice hatha. I prayed for a teacher, knowing that the teacher would come when I was ready. Sat Kartar: I was 17. It was 1972. I was at university on the east coast. There was no ashram, no teacher, no class nearby. Soon, a teacher was sent to start an ashram. I was the first one to move in. Over the next two years, I began to learn Kundalini Yoga by living the ashram life. Eventually I began teaching classes. 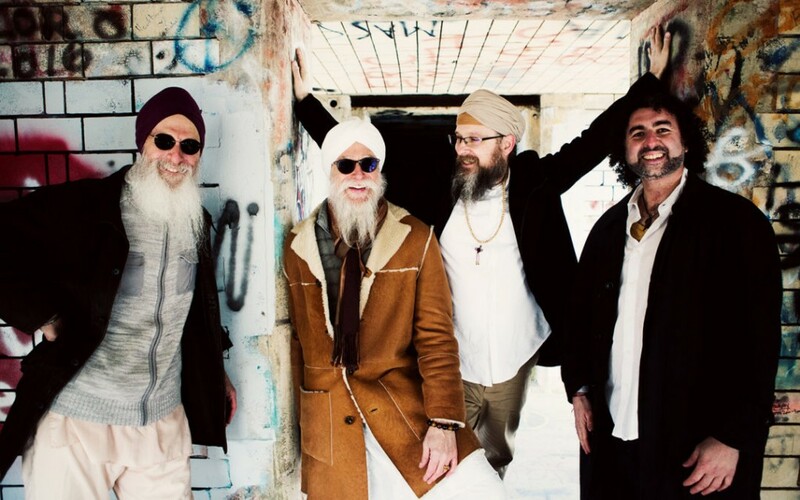 Learn more about GuruGanesha Band’s new album in Part 1 of our interview. Deepen your Kundalini Yoga practice with these amazing new books!